We couldn’t get enough hours in the sun when we were young.. Laying out and getting a tan was such a fun activity in our youth. The feeling of baking beneath the summer sun made us all feel healthy and alive. When the 1960s began, working on a dark tan became the thing to do. Cocoa butter hit the market, as well as other tanning products promising to give us that bronze glow. Beach movies showing teens spending their days surfside became popular as well as the birth of California surf music from musical groups such as the Beach Boys. It wasn’t until the 1980s that suntan lotion started being replaced with sunscreen. The FDA had published a report showing a link between excessive sun exposure and certain forms of skin cancer. Suntan lotions only protected us from UVB rays, which are the rays known to be responsible for cancer and the types that give you that dreaded sunburn. UVB rays change their intensity depending on the season and time of day. UVA rays are present all year long and the ones that cause us to age because they penetrate the skin and affect us on a cellular level. Sunscreen was designed to protect users from both UVA and UVB rays. Today we are more careful about how much time we spend out in the sun. 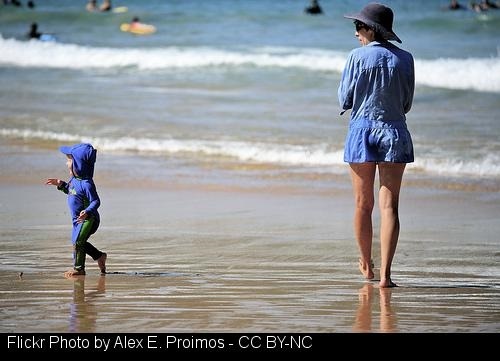 Today we are all aware of the relationship between sun exposure and the risk of cancer. It is a constant battle between enjoying the outdoors and keeping safe, especially during the summer months. Making sure to pack a large umbrella or tarp to create a shaded area is a great idea if you know that you will be outside for long periods of time. Remember to put on some sunscreen and bring along some protective clothing in case the sun proves to be too much. By taking the proper precautions and planning ahead, summer can be enjoyed without paying the price later on. Cyn LoPinto, M.A. is a gerontologist focusing on significant issues affecting older adults and their families. Her areas of interest include lifestyle enrichment, family dynamics, and caregiver support. Cyn has worked in both the recreational and healthcare industries. 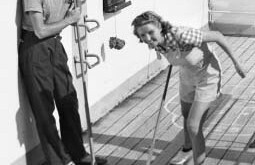 While many may think of shuffleboard as old-fashioned, it is a fun game that is making a real comeback.